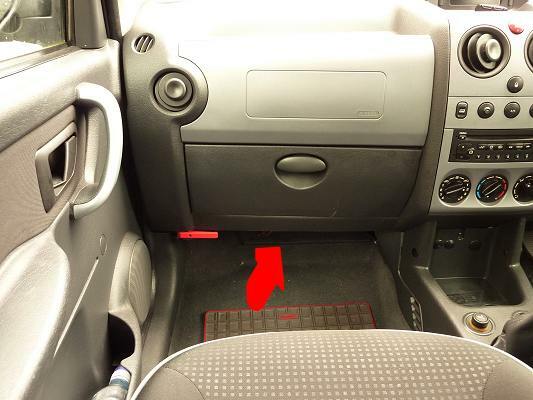 The red arrow shows where you need to be working to replace the cabin filter. 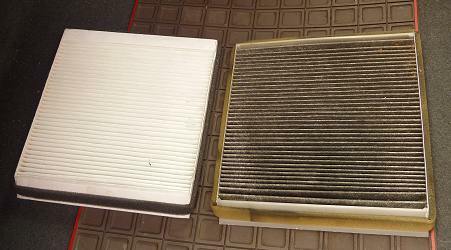 In attempting to service my own Partner Combi, I had problems finding out how to replace the cabin filter. I sought help from the internet and found some information but not all of it helpful. Some indicated it was under the bonnet, which it is not and I wasted time looking under the scuttle cover. 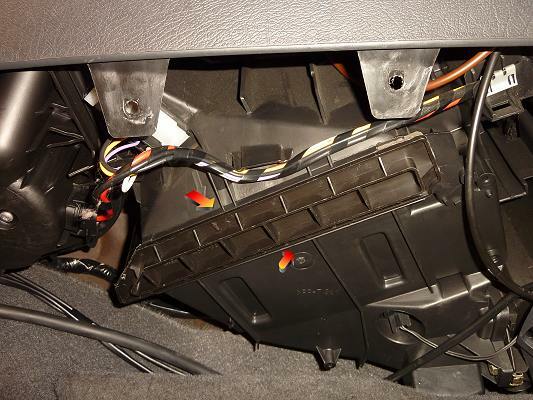 Another better source indicated it was under the glovebox and gave a good description. Even then, I was not sure what I was looking for and it still took me a lot of wasted effort trying to find it. The description was accurate but a few pictures would have helped, so I thought I would write an illustrated article to show where it is and what you need to do. 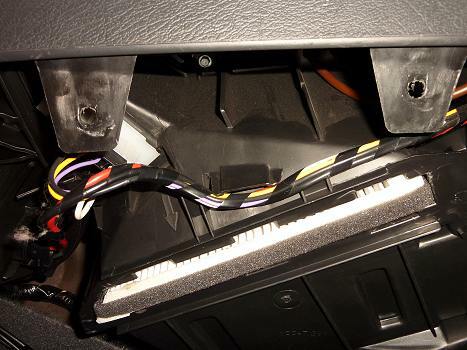 You need to be working under the glove box as indicated in the photo above. Adjust the passenger seat as far back as possible to give yourself room to work. 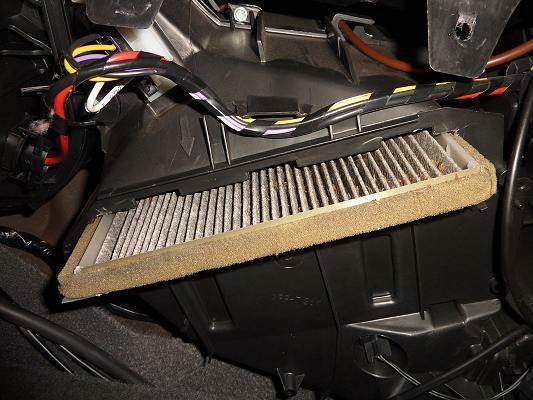 Then, kneeling outside the car, get your head in to look underneath the glove box. The photo above shows what you should see. To the right of the blower is a large black plastic box, on which is a cover, shown by arrows, roughly of letterbox shape. To remove the cover, push it firmly sideways towards the centre of the car. It should slide and, once the prongs are disengaged, the cover comes off. If you still have problems with understanding which is the cover, the image shows the cover removed. With the cover removed, you should see the end of the filter. 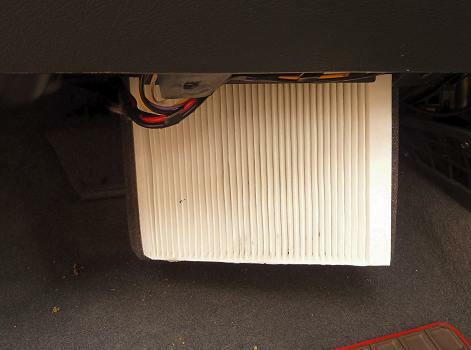 Use the finger gaps to get hold of the filter and ease it down towards the floor.Then remove completely. This shows the new and the old filters. The new filter will have one angled side and the other right-angled. The angled side should be on your left. Ease the filter up into the slot and push firmly home. Put the cover slightly to the right of its opening to allow the prongs to enter the gaps and then slide the cover to the left.